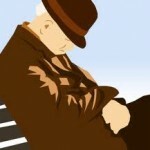 Home » Sleep deprivation » How COPD Can Affect Your Sleep? COPD or chronic obstructive pulmonary disease is a term used for lung disorders such as chronic bronchitis, emphysema and chronic asthma. Patients with COPD have health difficulties like chronic cough, breathing problem, chest tightening and fatigue. COPD sometimes result in low blood oxygen levels, causing lethargy, fatigue and more adverse health conditions. Daytime sleepiness and other sleep problems are also prevalent in COPD patients, sometimes due to its symptoms and also because of drugs prescribed to treat COPD. Normal breathing that change during normal sleep cycle does not affect a healthy person but it may lead to serious complications in person with COPD. It can worsen the condition, since it reduces blood oxygen. 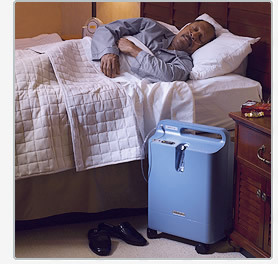 There are evidences that COPD patients without OSA also experience a drop in there oxygen level during sleep. COPD is more common in people above 40. The problem is progressive, meaning that it remains forever and even worsen over time, depending on how late the treatment is initiated. COPD has spread its wings large in the American society – about 12 million American currently suffering from COPD and according to a study it is estimated that around 12 million more need to be diagnosed. 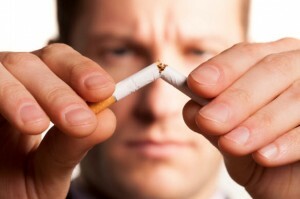 It has been observed that smoking is the major reason that causes COPD but it is also connected to other environmental pollutions. It is the fourth leading cause of death in America, after heart disease, malignant tumors and stroke, according to Centers for Disease Control and Prevention. COPD profoundly affect the sleep of the patient. COPD symptoms such as chest pain, coughing and frequent urination disrupt sleep many times during night. Other than its direct symptoms, medication used to cure COPD also plays an important role affecting the person’s good night’s sleep. COPD medication can cause insomnia or sometimes tiredness and daytime sleepiness. 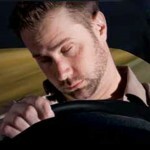 A patient has to wake up and take the medication on time to follow the prescription also sometime disrupt sleep. Overlap syndrome is a term mostly associated with people having both the problems, OSA and COPD. Research suggests that overlap syndrome occur in 12-15% of COPD patients. Overlap syndrome has been associated with low blood sugar level during the sleep which results in extreme fatigue and other similar problems in the patient. If you also have COPD and you suspect that you may also be having OSA, consult your physician about various treatment options, including CPAP mask. Research suggests that the continuous positive airway pressure mask improves lung’s functioning and it may also improve erectile dysfunction in man having overlap syndrome due to COPD symptoms. Do not take the COPD symptoms lightly; it is a life-threatening disease. Unfortunately, most of the COPD cases are diagnosed when the disease is progressed to its severe level and the physician become helpless in stopping or reversing its course. One should not wait long to see a physician for COPD symptoms. If it has been already diagnosed in you follow the treatment plan suggested by the vigilant about eating right and sleeping well.